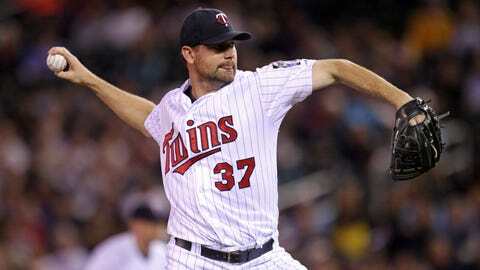 Mike Pelfrey finished 5-13 with a 5.19 ERA and 53 walks in 152 2/3 innings last season. anonymity because the team had yet to finalize the deal. innings in his first season back from elbow ligament- replacement surgery. rough, not an uncommon occurrence for pitchers following Tommy John surgery. 53 walks in 152 2-3 innings. Opponents batted .300 against him over 29 starts. to be the Twins’ fourth starter. who appears to have a spot.